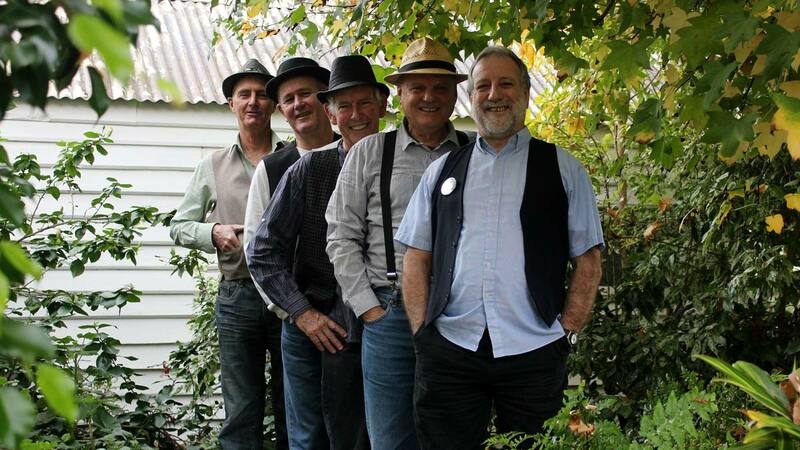 Jook Joint Band is a jug band at heart and they have been wowing audiences with their snappy renditions of old time blues, skiffle and ragtime music in and around Western Australia for the past ten years. They like to call the music they play “dancing blues” as they make it their aim to get their audience tappin’ their feet and slappin’ their thighs. They are a five piece band and play a variety of instruments in the tradition of jug bands ranging from the jug, washboard, ukulele, 6 & 12 string guitars, acoustic bass, stand up drums and harmonica. Their repertoire draws from an ever growing list of originals plus covers from the likes of Lead Belly, Memphis Jug Band, C.W. Stoneking, Jim Kweskin Jug Band, Blind Boy Fuller and others. These good ol’ boys have been adding to the texture of the Western Australian music scene for some time now and enjoy sharing their unique style of music with an increasing audience base. They have played at the Blues t Bridgetown Festival, Fairbridge Festival of World and Folk Music, Boddington Music Festival and throughout the state at many other festivals including the Canning Show, Fremantle Heritage Festival, East Fremantle George St Festival, Waroona Show, Mukinbudin Spring Festival, Folk and Roots at the Perth Cultural Centre to name a few.